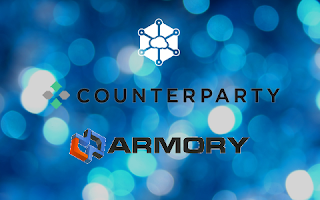 Counterwallet has a nice feature which lets you keep your private key on an offline computer running Armory, while being able to initiate transactions from Counterwallet, transfer them to your offline system for signing, and back to Counterwallet for broadcast to the network. This, essentially, allows you to keep your SJCX in an Armory cold storage, while being able to see and control your funds from Counterwallet. Here's a tutorial on how to do this.